What makes the probe so speedy? A rifle bullet moves at about 1,700 miles an hour. 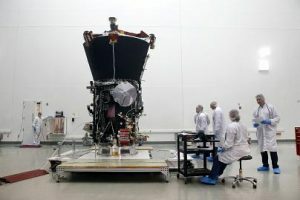 That’s fast, but NASA’s newly launched Parker Solar Probe will go more than 250 times faster than that near the end of its seven-year mission to explore the sun — and become the fastest human-made object ever. The space agency says the unmanned spacecraft will hit a speed of 430,000 miles an hour, or about 125 miles a second, on Dec. 24, 2024, as it nears the sun on the 22nd orbit of its planned 24 orbits around our host star. At that scorching speed, the car-sized probe will have more than doubled the mark set by the current record-holder — the Helios 2 unmanned spacecraft that launched into space in 1976 (see chart below). Or, as NASA puts it, fast enough to get from Philadelphia to Washington, D.C., in a single second. 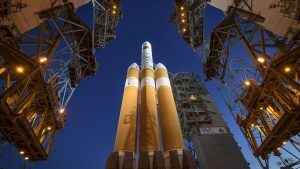 The new probe, which was launched into space on Aug. 12 from Cape Canaveral Air Force Station in Florida, is designed to study the sun’s atmosphere, or corona, and the vast eruptions of energy and charged particles that originate there. The data will help improve forecasts of these “space weather” events, which can damage satellites, harm astronauts and disrupt radio communications and power grids on Earth. But what makes the probe so speedy? Earth orbits the sun at an average distance of 93 million miles. Toward the end of its mission, the Parker probe’s ever-tightening orbits will take the spacecraft within 4 million miles of the sun. At that distance, the sun’s gravitational attraction is 475 times stronger than it is on Earth, according to Guo. The stronger the gravity, the stronger the pull on the probe. To do that, mission scientists plotted an orbit that will take the probe near Venus on each go-round, using the planet’s gravity repeatedly to bend the probe’s trajectory and bleed off a bit of speed (see video below). That will push the probe ever closer to the sun and its intense gravity. “Gravity assists” have been used for many space missions, including NASA’s New Horizons mission to Pluto, which sent back spectacular photos of the dwarf planet in 2015. But no previous mission involved so many gravity assists; the Parker probe will do seven flybys of Venus over the course of the mission. The first will occur on Sept. 28, 2018, the last on Nov. 2, 2024 — just weeks before the probe reaches its maximum speed. 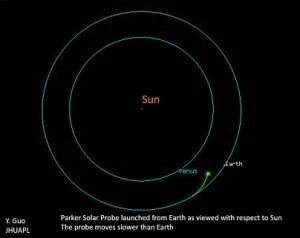 What if the Parker probe buzzed you at 430,000 miles an hour? Since there’s no air in space to carry sound waves, you wouldn’t hear it. 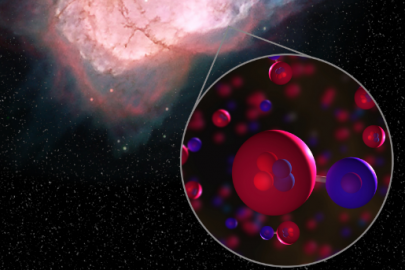 “Something moving at a high velocity in space should produce no noise, since space is a near-vacuum,” Greg Matloff, a physicist at New York City College of Technology and an expert on rocket propulsion, said in an email. 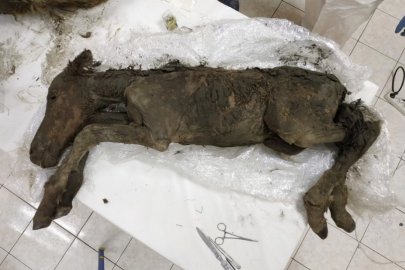 You might not even be able to see something moving that fast, said Jonathan McDowell, an astronomer at the Harvard-Smithsonian Center for Astrophysics. But you sure wouldn’t want the probe to get too close.